The T-Minus adapter goes directly from Bayonet mount to 2" barrel. 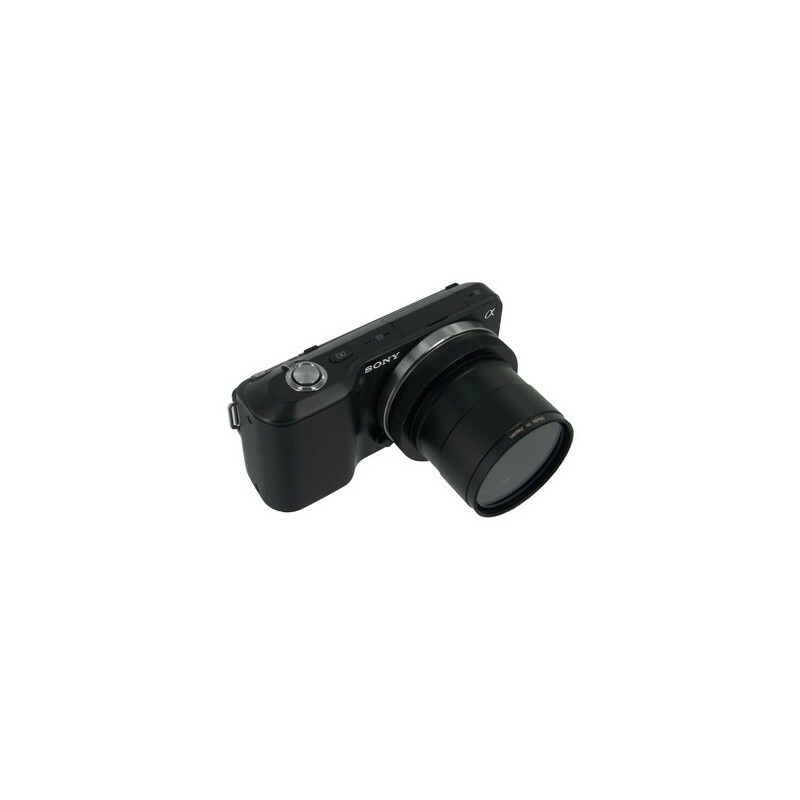 This increases the clear aperture from 1.5" to 1.85" compared to a T-Ring. T-Minus takes it's name from that fact that it is shorter than the "T" standard. T-Minus is over an inch shorter than a T-Ring/T-Mount Combo! Great News for Reflector Owners! T-Minus™ adapters provide distinct advantages over a T-Ring solution..
T-Minus adapters are a part of our larger "True-2" UltraWide Adapter line, as such they offer a full 10mm more clear aperture than a T-Ring setup. T-Minus takes it's name from that fact that it is shorter than the "T" standard. T-Minus adapters are over an inch shorter than T-Ring solutions, for reflector owners this means you can likely reach true prime focus for the first time (without any telescope modifications or telenegative lenses). T-Minus adapters are CNC machined from a single piece of aluminum making them lighter, stronger and with zero chance of separation due to T-Ring failure. In addition they are fully baffled to reduce reflections and threaded to accept standard 2" (48mm) eyepiece filters. A: T-Minus will not thread directly onto the rear of an SCT scope, It has a 2" barrel just like a 2" eyepiece and inserts into a 2" eyepiece port. 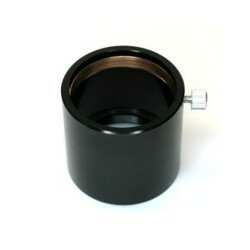 If your SCT is not setup to accept 2" eyepieces you will need a 2" Rear Port Adapter. This is actually better than if it threaded on to the scope directly as it allows you to very quickly and easily install and remove the camera during a session. It also gives you absolute freedom in positioning the camera radially for the best framing of your shot. 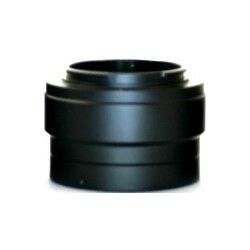 A: The T-Minus adapter is for astronomical type telescopes equipped with 2" eyepiece ports ONLY. It will not fit spotting scopes or microscopes. If you need help selecting the proper adapter just send us an email. Please include camera and scope models. Fits all SONY (E-Mount) cameras Including (Full Frame Models) A9, A7, A7S, A7R, A7R II, A7S II, etc, and (APS-C Models) NEX 3, NEX 3n, NEX5, NEX 5n, NEX 5nk, NEX 5R, NEX 6, NEX 7, NEX 7k, NEX C3, NEX C3k, NEX F3, a5000, a5100, a3000, a6000, a7000, etc. As well as Sony Handycam Video Cameras VG10, VG20, VG30, VG900.